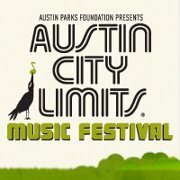 Austin City Limits music festival came and went, in Zilker Park, Austin, Texas – 3 days, 8 stages and over 130 bands. We were there with a group of fun people, about 13 of us. Mike and I rented a nice house from Lakeview, TX. It is outside Austin 40-60min from there depending on the traffic. Mike, his nieces and I stayed at the house while the others stayed at the Driskill hotel in downtown Austin (our usual hangout). I did not take whole lot of photos but here are few from my flight to Austin, the house we stayed in, Driskill bar (at the hotel), Juan in a Million (place we had breakfast with Mike’s relatives, and of course couple from the event itself. Thank you Brandee, Kelly, Kristle, Michelle, Rebecca, Bill, Cliff, Forrest, Jeff, Mike (both), and Robert for the good times!! Gallery | This entry was posted in Music. Bookmark the permalink.